Our 2018 Best Business Hosting Award goes to InMotionHosting.com, a veteran in the web hosting game backed by a team of experts with diverse technical backgrounds and a true industry leader in offering business customer-centric web hosting packages. InMotion Hosting is a popular choice among the internet business community, and part of the reason is related to its rich set of e-commerce tools while their innovative software gives you the best speed and efficiency that no other web hosting company can offer. InMotion truly makes a fine choice for business-class web hosting requirements. 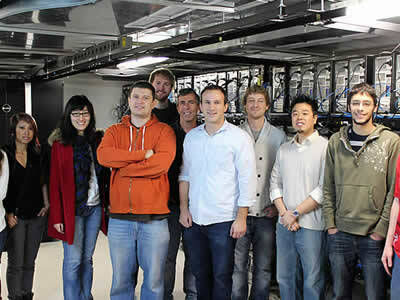 InMotion Hosting is this year’s winner in Web Hosting Geek’s "Best Business Hosting" category. The company provides above the average customer attention, especially to business-based clients in need of a fast server, reliable up-times, and industry-grade performance. 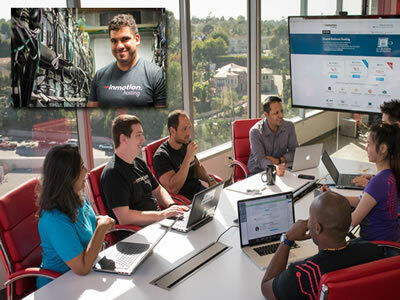 InMotion was chosen over its competitors because of its innovative software and hardware system, its above-average technical support, and its affordable business hosting plans. InMotion Hosting uses a unique network of West Coast/East Coast data centers that provide "Max Speed Zones" to users within the continental United States. Those within direct proximity of a data center can enjoy email, bandwidth, and networking speeds that clock in at up to six times the speed of InMotion Hosting’s competitors. The provider also makes it easy for business owners to select the most efficient data center using their proprietary File Download Test. In addition to supporting multiple data centers, InMotion Hosting also includes one of the most advanced peer-based networks available of any shared web hosting provider. 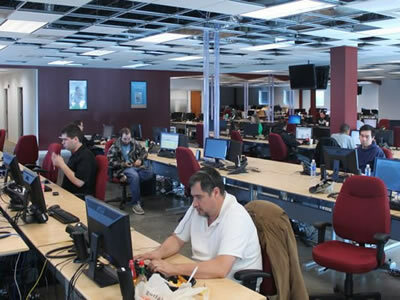 The company strives to create a stable base of peer networked computers for businesses to use, increasing uptime, stability, and connection speed in a cost-effective manner. InMotion Hosting was also selected for its business-friendly pricing and feature set. The provider’s monthly rates start at only $5.95 a month, before topping out at $13.95. For their money at the cheapest rate, business managers can enjoy two distinct websites, up to six domains (as well as 25 subdomains) dual MySQL databases, and 1,000 free FTP accounts. InMotion Hosting also comes with unlimited disc space and bandwidth across all of its pricing schemes, making it easy for businesses to scale up with demand, or keep network drain at a modest rate during off-periods. The provider is also 100% compatible with industry standard coding environments and languages. The company’s support staff is available at any time of the week or day via toll-free telephone, making it one of the most cost-effective and supportive services around. 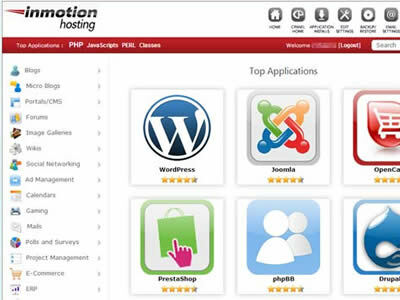 Overall, InMotion Hosting is easily a shoe-in as "Best Business Hosting." 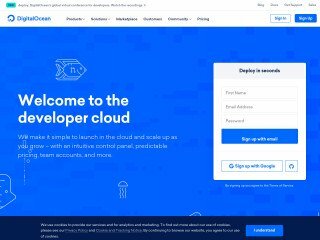 Its rich feature set and stellar, 24/7 technical support make it a ready-made, cheap solution for the businesses in need of a quality web host. The Better Business Bureau is the leading agency in the country for consumers researching the companies they deal with. InMotion Hosting has continually maintained an A Rating with the BBB for nearly 5 years. 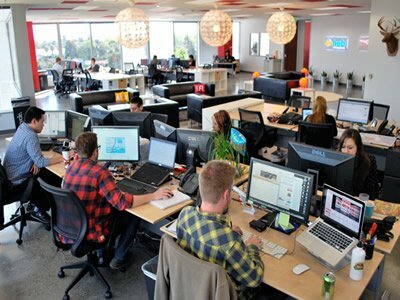 InMotion Hosting support is comprised of 100% In-House, U.S. Based technicians available 24 hours a day, 7 days a week, 365 days a year. The backing up of your data and web files can help ensure that the recovery of that data is as smooth as possible. 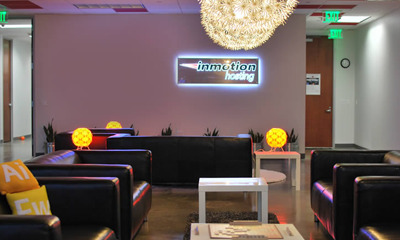 While most hosting companies allow you to backup your own data, InMotion Hosting goes a step further and backs up all customer data every 48 hours. How to Select the Best Provider for Your Business Website? Because your business’ website is so crucial and mission-critical, choosing the best business hosting provider can seem like a challenge. In fact, many business owners will spend weeks just weighing their options before ultimately making their decision. Business hosting can be confusing, and many people don’t really know what the term means. Today, we’ll take away all of the confusion and provide you with everything that you need to know to choose the best business hosting service, so you make the right decision the first time. The term “business hosting” can be difficult to define since it can mean different things to each web hosting provider. Some people might define it as the top of the line web hosting options with a high price and high-performance features. On the other hand, many would classify business hosting as a broad range of hosting services all geared towards business sites. This can range from small informational sites all the way to large e-commerce stores. As you can probably tell, these two definitions are a little bit different but for the purpose of this article, think of business hosting as a wide range of hosting services that could be of use to a business. We’ll cover a wide range of hosting packages and tiers, and hopefully, you’ll be able to determine which is best for your business. 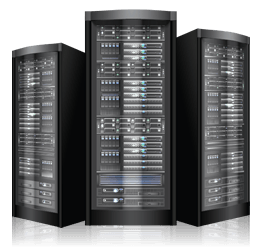 Who Should Choose Business Hosting? Now that we’ve got the definition out of the way and we’re on the same page let’s talk about who business hosting is for. As you can probably tell, any business, no matter the size, could benefit from business hosting. A business-focused website hosting provider will offer the tools and services that your business might need to boost its online presence and better serve your customers. You don’t need to use a business hosting provider and could go with a free web hosting provider. This will work, but you’ll be missing out on some crucial features that your business’ site might need. If you are serious about your business and its website in turn, you should consider choosing a business hosting provider. Luckily, the best business hosting providers aren’t incredibly expensive and if you don’t expect much traffic to your website and it’s only there to provide information for your customers, you could probably use a low-cost shared hosting type of solution. Also, even if your website is your business, you still won’t need to spend half of your revenues just to keep the site up and running, and if you do your research, you could get an incredible value for your investment. Business hosting is for everyone but choosing the plan that will perfectly fit your needs might be a challenge. Let’s take a look at the different kinds of business hosting available on the market to help you narrow down your decision. Assuming that the business hosting provider that you choose is reputable, you should be able to find a digital home at a wide range of different price points. If you only want to promote your business with your website and don’t need any extra plugins or applications, you might be okay with a low-cost shared web hosting plan. They aren’t the most robust and aren’t as flexible as other options, but the price is relatively affordable. If you need to conduct transactions through your website, you’re going to need a more advanced solution. At this point, it is probably best that you select an option like a Virtual Private Server (VPS) or a dedicated hosting plan that will allow you more control and flexibility. At the very end of the business hosting spectrum, you’ll find more dedicated services that will be able to accommodate a large number of website visitors. 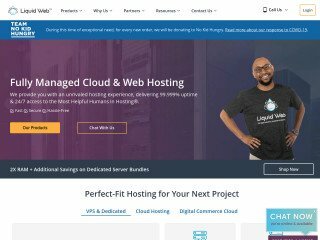 These business hosting providers will offer dedicated resources that your website can use to stay up and running even during peak performance times. You’ll find a vast variety of business hosting plans, all offering your business the features and support that you need. Let’s take a look at some of the pros and cons of choosing business hosting. Because there are so many business hosting options, you’ll find different pros and cons depending on the service. Even so, there are some universal benefits among all business hosting solutions. One of the best parts about business hosting is the options that you have. Because not all businesses are the same, they will all have different requirements for their website. This means that it is nearly impossible to recommend one single service as the best for all businesses. Instead, you’ll just have to sort through the different options and find the business hosting plan to works best for you. Most entry-level business hosting providers will offer fixed terms and hardware specs. Even so, if you move beyond the entry-level packages, you should be able to find plans that are better suited for your business. Your goal is probably to have as many website visitors as possible, and with more traffic comes the increased need for more resources. With business hosting, the provider should offer you a plan that will grow with your business. One of the benefits of spending more for a business hosting plan is that your provider will likely be more accommodating. This means that they’ll be willing to allocate specific hardware for you and upgrade your bandwidth and storage capacity when you need it. By paying more for your business hosting provider, you’ll also have access to a high-trained, dedicated support team that will be ready to assist you should you ever run into a problem. Most of the best business hosting providers will offer super responsive support regardless of the tier that you select. As your business grows and the higher tier package that you use, you’ll most likely have a dedicated account manager that you can speak to whenever you have a question or need help with your website. When it comes to business hosting, there aren’t that many drawbacks that could steer you away from the service. The benefits greatly outshine any of the potential downsides, but it is still essential to know of the potential drawbacks. The most significant drawback of choosing business hosting is the price. 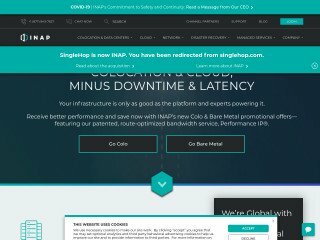 There’s no way around it: business hosting is likely to cost more than your traditional shared hosting plan. Even so, the price is a reflection of the quality of service and the resources that the host will provide you. You can get started with business hosting relatively cheaply, but once you move into VPS and dedicated hosting solutions, expect to see the price tag increase. 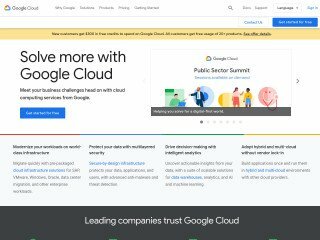 While cloud hosting or dedicated hosting might be more than what your business needs at the moment for a small business, the lower-tier business hosting plans can present some problems. The most significant drawback of choosing a lower-tier business hosting plan comes in the resource limitations. For example, if you decide that you want to choose a shared hosting provider for your business website, you might find that you can’t access enough bandwidth for your site to remain stable. The provider will also limit the amount of disk storage you can use on the server which can hurt your website’s performance. Even so, in many cases, if your website is performing well, the better your business will perform. You’ll see greater rewards from having a stable site than you would if your site was unreliable. To put this into perspective, if you were to run a hobby blog, if the blog went down for a few hours it probably wouldn’t be a big deal. On the other hand, if you were running a high-level e-commerce site, a few hours of downtime can cost you thousands in sales. For this reason, it’s best always to pick a package that will meet your needs adequately. 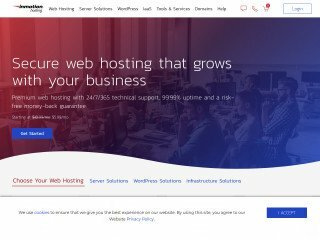 When looking for a business hosting provider, the first thing that you need to look into is the reputation of the host. You want to make sure that you’re only aligning your business with respectable companies, and even some of the most popular business hosting services have poor reputations among their customers. Do your research to make sure you’re making the right pick. Also, whenever you see the word “unlimited,” you should take it with a grain of salt. In our experience, even if a company advertises their services as unlimited, there is usually a limit to the promise. Typically, the host might start throttling your site should you start exceeding the expected bandwidth, for example. Keep this in mind and make sure to do your research. So, you need a hosting plan for your business? But all the web hosts look the same! What on earth do you look for? We asked our experts at WebhostingGeeks, and they came up with this list of 12 things to look for when it comes to web hosting for business websites. Please note, that customer support was not included in this list despite its prevailing importance. This is because, while customer support makes or breaks a hosting company, it is relatively less important for business websites. Business websites are often static websites with infrequent updates. On the other hand, merchants and bloggers may update their websites multiple times a day. Shared hosting is the type of hosting where your website shares a physical server with many other websites. Shared hosting has limited resources depending on the server. Shared hosting also has limited customizability: you’re stuck with the software pre-installed on the server. The IP address is also shared with your fellow cohabitants. VPS stands for “Virtual Private Server”. It means that while you share a server with many other websites, each website has its own sandbox: a virtual server. When it comes to VPS hosting, the software on your virtual server is fully customizable. However, you’re still constrained by hardware and resource limitations of the server. Dedicated hosting means hosting on a dedicated server. This is the most expensive option, but also the most flexible option. Your website is the only website on a dedicated server, and that means you can customize both the hardware and software to your liking. You also get all the resources available on that server. The most common choice is, of course, shared hosting. Sharing a server is more than enough for most businesses. If your business receives less than 20,000 unique visitors a month, then we recommend starting with shared hosting. When choosing a hosting plan, always look for the refund policy. You never know how good a hosting company is until you try their service. Who knows, you might end up loving it. But it doesn’t hurt to have a money-back guarantee. A good, confident hosting company will have a 100% money-back guarantee for at least 14 days. 100% money back means that the refund is given regardless of the circumstances. The industry standard length for money-back guarantees is 30 days. SSD stands for “Solid State Drive”. It is a computer drive without moving parts, hence “solid state”. A SSD is like a giant memory stick, and its read/write speeds are up to 3x faster than a normal hard disk. If your server is equipped with SSD, it may be a huge boost to your website speed. Speed has been shown to be an important factor in Google rankings, not to mention the boost in user experience. This is especially important for business websites because for every second it takes your website to load, you lose a whopping 7% conversion rate. In most cases, you should expect to pay extra for SSD. It seems these days, hosting companies are offering all sorts of perks for customers. 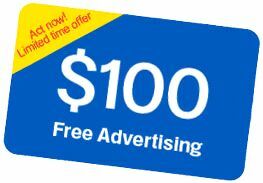 The hosting experts at WebHostingGeeks unanimously agree that the one perk worth its weight is the free advertising coupons. Usually, a shared hosting account will come with $100 in free Google Adwords advertising and another $50 in Bing or Yahoo search advertising. If you already advertise online, then the coupons are perfect to make an immediate return from your hosting investment. If you don’t advertise online, then $150 in free ads is the perfect playground to try it out. SSL stands for “Secure Socket Layer”. It is a security protocol used to encrypt the data transfer between the user and your website’s server. Whenever you see “https://” at the beginning of a URL, the website uses the SSL protocol to protect customer information. Having a SSL certificate is required if your business processes online payments because protecting credit card information should be your number one priority as an online merchant. Having SSL is also required if you have a secure login form on your website. If your users enter a username and password to login to your site without an SSL certificate, a hacker can easily see their username and password in clear text. This would allow someone else to impersonate your visitor, but it allows for a far more dangerous possibility: Because users often use the same password on many sites (including their bank accounts), an attacker can potentially compromise many other accounts. Even if your website does not process payments or have logins, it is still highly recommended for all businesses because SSL conveys trust and authority. Many shared hosting plans will provide a shared SSL certificate, for a small fee or free of charge. Email is the primary means of conversation in this day and age. Thankfully, most hosting companies offer free email hosting with your website hosting package. As a business, you want to have a custom branded email, something like contact@YourBusiness.com. It appears much more professional than having YourBusiness@Yahoo.com. The number of email addresses – how many email addresses can you create? Email storage – how much storage do you get in total? What about per email address? Email client access– Can your business email be accessed on a phone or computer? Do they offer support to set up the email account on your Outlook/Phone? The information you have on your business website should not be the kind of information you’re willing to lose. Many unexpected calamities can happen in hosting. Your website shouldn’t be at the mercy of the data gods. The best insurance policy against sudden failures is a regular system of backups. 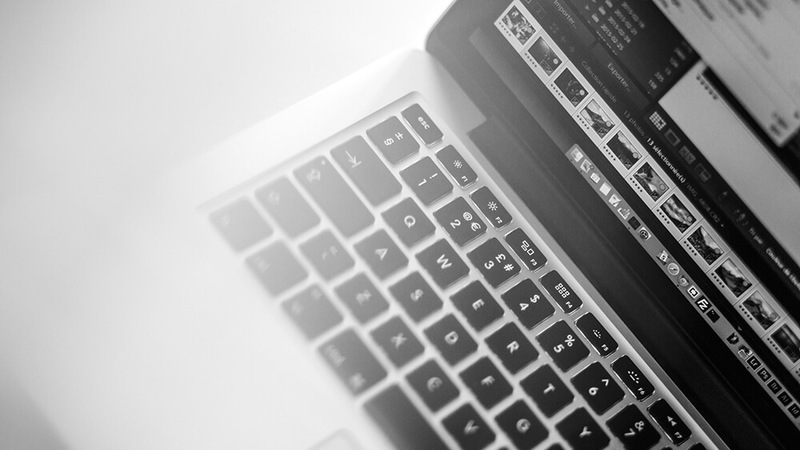 Having a recent copy of your website can turn utter catastrophe into a minor inconvenience. 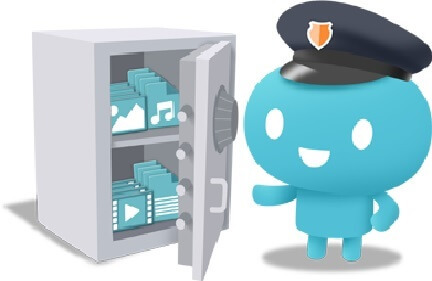 Some hosting companies provide regular automated backups for free. Other companies offer a one-click backup tool that you can use at your convenience. Also be on the lookout for free backup restores. Restoring your website from a backup copy takes time and patience, so it’s always better to have the hosting company do it for you! You don’t have to be a programmer for software to be important. By software, we mean software installed on your server by your hosting company. The software determines what kind of website you can have. It also has a surprising effect on the speed of your website. A side note – if you are running WordPress, a web host with PHP 7 support can make your website up to 3x faster. PHP 7 is the newest and most efficient iteration of PHP. Disk Space is the amount of stuff you’re allowed to store on the server. For the most basic hosting plans, the disk space allowed is usually 500MB or 1GB. Some companies have begun offering unlimited storage for even the most basic plans. Even 500MB is more than enough for a small to a medium-sized website. A basic WordPress install takes up around 20 MB, custom themes, and backgrounds 10 MB. This leaves you 470MB for your posts and pages. If we assume a generous 2MB/post, your basic server can store 235 pages of information before filling up. Storage space is rarely the limiting factor when it comes to hosting. You’re much more likely to be limited by bandwidth and CPU resource restrictions, as your business grows and more and more people visit your website. The monthly data cap is the amount of data you can send and receive each month. It is essentially the number of visitors your website can serve. This is arguably a more important metric than storage. The average website is 3MB to load. This means your server must send 3MB of data to every single visitor that lands on your website. If your web host gives you 10GB of bandwidth every month, at 3MB/page, it means you can serve 3413 visitors per month. You can use google analytics (https://analytics.google.com) to check how many users visit your website each month. Afterward, use GTMetrix (https://gtmetrix.com/) to find out how big is the average page on your website. 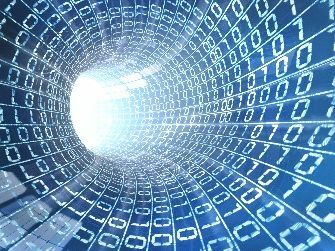 Afterward, simple math will provide you an estimate of the bandwidth necessary. Server speed refers to many things. It can mean the processor power, the data transfer rate, the latency of the connection, the read/write speed onto the hard drive, etc. In the end, all of these factors will affect how fast your website loads. The central aim of a business website is to provide a pleasant user experience. A slow, unresponsive website is the opposite of pleasant. We chose server speed as the second most important aspect of business hosting because the user experience is critical to business success. ByteCheck – it checks for the Time to First Byte, or how long it takes between browser request and server response. The TTFB should be no more than 200 milliseconds. 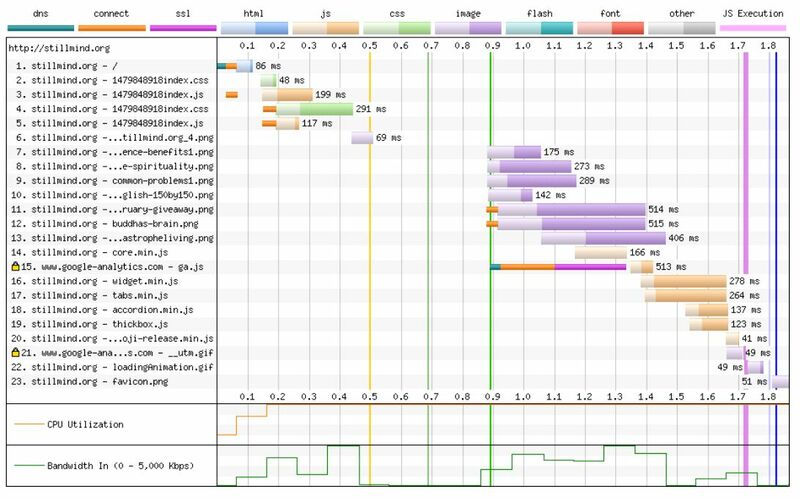 WebPageTest– it checks for loading speeds and gives you a waterfall diagram of the loading speed and order of the elements on your website. A waterfall diagram looks like this. Server reliability is one of the most important aspects when it comes to web hosting. You’ll hear it referred to as an “uptime guarantee”, where the hosting company guarantees that your blog will be accessible most of the time. This guarantee is usually fulfilled in the form of a discount or cash credit. 99.99% - this allows for just 5 minutes of downtime. 99.99% uptime guarantees are incredibly rare and are usually only offered by cloud hosting companies. If your website is down, you will be compensated for the downtime, usually in the form of a credit to your account determined by the host. More often than not, your downtime will not be compensated at all. Carefully read over the Terms of Service and figure out the downtime circumstances covered by the guarantee. There are hundreds of business hosting choices out there. 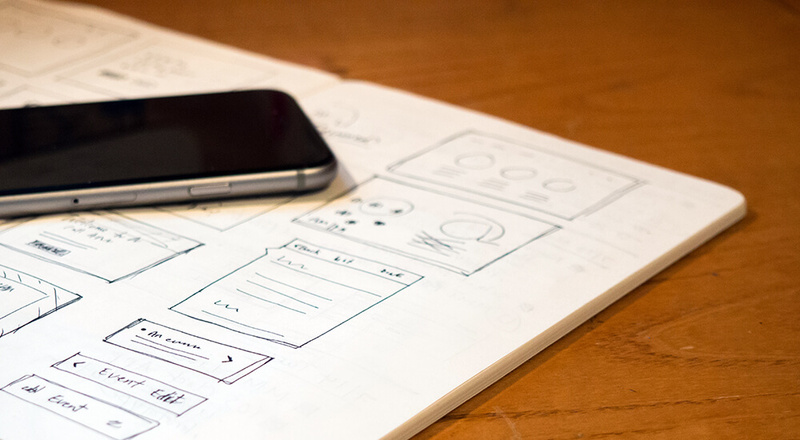 Finding the best one all comes down to your budget and the needs of your website. Some businesses might be able to make do on a more basic plan, while others might need as many resources as possible to keep their revenue-driving website up and running 24/7. Once you’ve found a provider you think will work, make sure to do even more research. You don’t need to write a thesis paper on the company, but make sure to read reviews, look into their overage fees, and make sure they offer customer support and a 99% uptime guarantee. After that, if you follow all of the tips in this guide, you should be able to find the business hosting provider that will fit your needs and will help you grow your business online! Ultra-fast servers, industry-grade performance, innovative software and hardware systems, above the average technical support. Everything you need to create your perfect website, starting at only $2.95/mo! People often overlook backups of their personal computers and by the time they lose files they go around in panic trying to come back to normal (to avoid that March 31st is the World Backup Day – to remind people at least once a year to backup their documents).